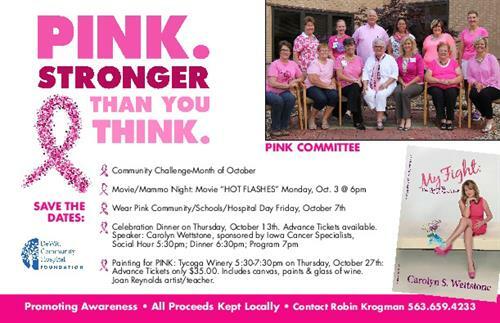 Our Pink for the Cure Community Challenge is set for the month of October. If you are interested in the judging, please contact Robin Krogman. Judging will begin October 5-7 for those who have submitted applications. We invite all businesses and residents to decorate in pink to honor and inform on breast cancer and the importance of early detection.